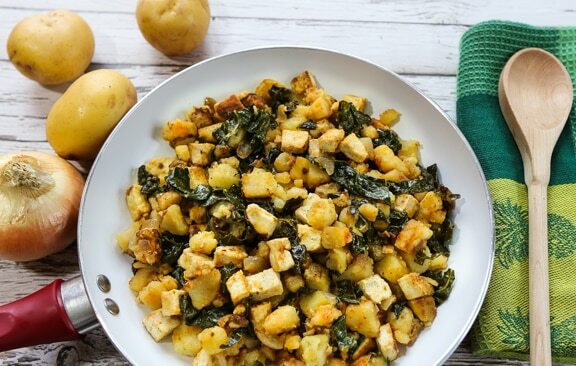 Tofu and potato hash browns is a simple, comforting skillet dish that’s just as good for dinner as it is for brunch. Have potatoes cooked ahead of time, and this easy and tasty dish will have your family or guests eating in short order. 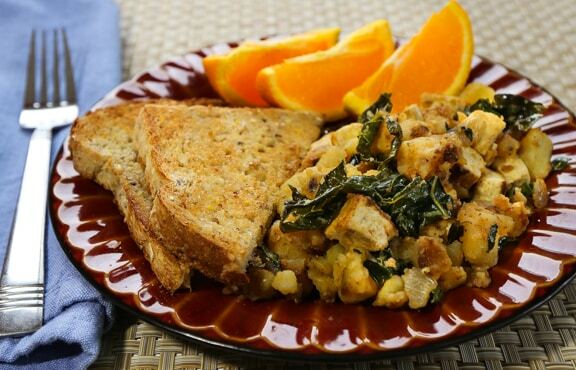 Leftovers are wonderful for breakfast. Or, if you make this expressly to serve in the morning, you can either microwave or cook the potatoes the night before for a head start. 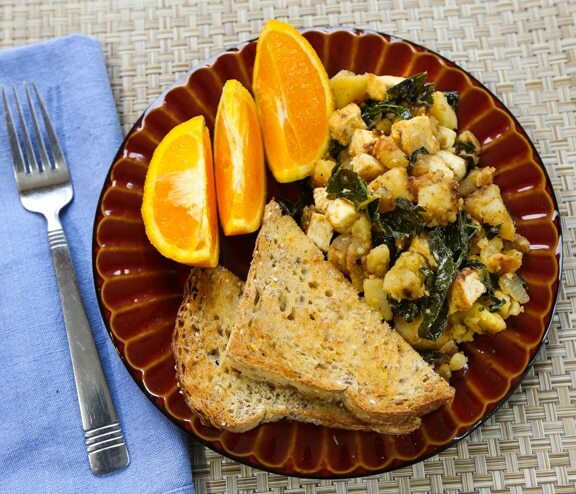 Great accompaniments include orange wedges and fresh whole grain bread. Adapted from The Vegetarian Family Cookbook. I make something similar and use trader joe’s taco seasoning so good. Can I ask what are the dark green leaves? I can’t see anything like them in the recipe. Hi Edward — you’ll see the addition of greens in the variations below the recipe. There’s an option for using kale, collards, or baby spinach.